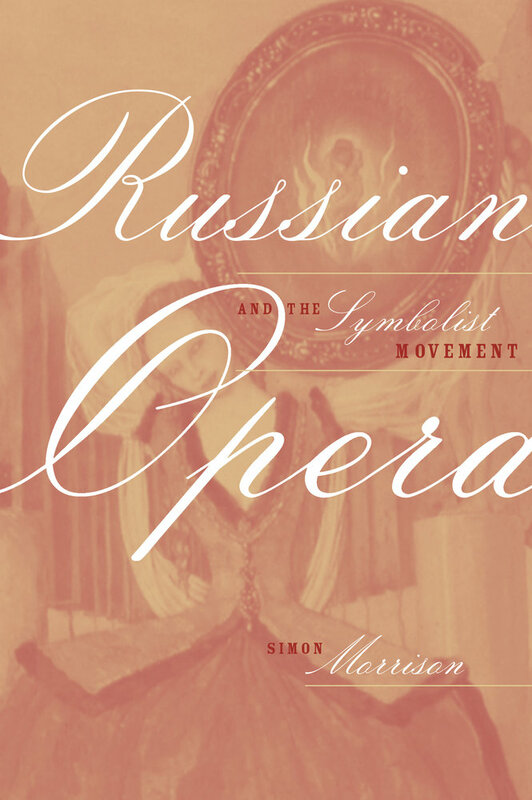 This book concerns the efforts of Russian composers to create Symbolist operas, efforts that were evaluated in their own time as successes, as failures, and, perhaps most frequently, as successful failures. The four composers in question occupy different places in the history of Russian Symbolism. The first, Pyotr Chaikovsky, was prescient, anticipating, rather than actually joining, the movement; the second, Nikolai Rimsky-Korsakov, was resistant, conceiving his penultimate opera as a rationalist and realist response to Symbolist decadence, yet nonetheless succumbing to it in the end. The third composer, Alexander Scriabin, was obsessive, extending, in his metaoperatic project, the precepts of Symbolism to hazardous extremes. And the fourth composer, Sergey Prokofiev, was parodic: his third completed opera constitutes a modernist response to the atavism and excesses of the Symbolist movement. Despite the pronounced stylistic and technical differences between the composers, their creative activities provide case studies of the amazing potentials and equally amazing pitfalls of the Symbolist enterprise. On one level, their works affirm that music, inasmuch as it defies the barrier of meaning, can invoke the otherworldly; on another level, their works attest to the insurmountable barrier between the representation of the miraculous and its enactment. Russian (and, for that matter, French) Symbolist opera does not travel lightly: each of the operas featured in this book carries an enormous amount of philosophical and aesthetic freight. For this reason, in the first half of this introduction I will provide a brief overview of the Symbolist movement that will define the musical symbol versus the poetic symbol, evaluate the relationship between Symbolist writers and musicians, and outline the contents of the book. In order to clarify and extend some aesthetic and theoretical observations, in the second half of the introduction I will summarize the solitary and unique effort of a Symbolist poet to create a Symbolist opera, The Rose and the Cross (Roza i krest). The core of this drama might best be described as an impossible song intended to transport its hearers, willingly or unwillingly, into a trance-like state. The Russian Symbolist movement is often divided into two generations of writers: the first, "decadent" generation includes the poets Konstantin Balmont (1867-1941), Valeriy Bryusov (1873-1924), Zinaida Hippius (1869-1945), and Dmitriy Merezhkovsky (1865-1941); the second, "mystic" generation includes Andrey Belïy (1880-1934), Alexander Blok (1880-1921), and Vyacheslav Ivanov (1866-1949). The list is far from complete, and the division between the generations is inherently artificial, since the "decadents" and "mystics" worked with each other and Symbolism occupied only part of their careers. But one generalization can be made: whereas the first generation found inspiration in French Symbolism, the second found it in German idealist philosophy. Bryusov's activities centered on enhancing the perceived musicality of poetry through the manipulation of sonorous word combinations. He similarly employed ambiguous and suggestive words that, he deduced, referred back to an essence, a universal meaning beyond the power of language itself to express. From the French Symbolists, he determined that there were three interrelated genres of Symbolist poetry. The genre includes "works that give a complete picture, in which, however, something incompletely drawn, half-stated, is perceptible; as if several essential signs are not shown. "1 Bryusov cites the sonnets of Stéphane Mallarmé (1842-98) as examples. The second genre includes "works which have been given the form of a complete story or even drama, but in which separate scenes have a significance not so much for the development of the action as for a certain impression on the reader or viewer." Bryusov does not furnish an example of this genre, but he likely had in mind the drama Pélleas et Mélisande (1892) by Maurice Maeterlinck (1862-1949), which he translated in 1905, and which Claude Debussy had previously turned into the preeminent Symbolist opera. The third genre includes works that "appear to you to be an unrelated grouping of images." Bryusov here cites Maeterlinck's "Hothouse Bloom" ("Serre chaude") the opening poem in Hothouse Blooms (Serres chaudes, 1889), Maeterlinck's first collection of poetry. The emphasis in Bryusov's three-part schema is on the Symbolist poet's unique perception of the world and the symbol's capacity to disclose the hidden content or inner essence of reality. By revitalizing conventional verbal syntax (this being confined to outer appearances and rational thought) Bryusov sought to cultivate a poetry of pure suggestion. Within his verses, he made fleeting allusions to ancient legend and ancient history, broke apart lines of verse into discordant and concordant phonemes, and relied upon such irrational adjective-noun pairs as "satin gardens" ("atlasnïye sadï"), "violet hands" ("fioletovïye ruki"), and "chocolate skies" ("shokoladnïye neba"). The distinction between the "decadent" and "mystic" Symbolists—exemplified in this brief overview by Bryusov and Belïy—thus rests on the distinction between an interpretation of the symbol as a device for suggestion and allusion on the one hand, and, on the other, as a device for disclosure and revelation. According to the first generation poets, symbols stimulated the imagination, invoking ancient times, recalling forgotten experiences, and, as a consequence, temporarily renouncing reality for dream, cognition for intuition. According to the second generation poets, symbols had the capacity to transform reality, to make the familiar unfamiliar (a notion later adopted by the Russian Formalists), and to have a narcotic impact on the psyche. Bryusov considered Symbolism to be magical: the symbol was apparitional and incantational, leading the reader on imaginary journeys to other times and places. Belïy, in marked contrast, considered himself to be magical, a divine creator capable of giving material form to the postulates of knowledge, of summoning different worlds into being. Steven Cassedy notes that Belïy, like the other "mystic" Symbolists, "assigned himself the same power of God in the logology of Eastern Orthodoxy: by pronouncing the Word (Logos), which then becomes incarnate, he (He) is creating a concrete 'world' reality that exists as a hypostatic emanation of his (His) own being. "5 Bryusov, as a "decadent" Symbolist, did not share the spiritual fervor of his young colleagues. However theirs, not his, were the views that garnered attention as the Symbolist movement matured and that eventually captured the imaginations of composers. Of the various reasons for the collaboration between poets and musicians, the most basic was a shared interest in resurrecting the theatrical practices of the ancient Greeks, practices which, in the poets' opinion, facilitated communal bonding and could, if reconstituted, enable society to regain lost unity. It was a fantasy akin to that which had obsessed Giovanni Bardi (1534-1612) and Jacobo Corsi (1561-1604)—the two members of the Florentine Camerata whom the Russian Symbolists occasionally cited—and that led to the creation of opera at the end of the sixteenth century. In "The Poet and the Mob" ("Poet i chern," 1904), Ivanov argued that the memory of the ancient bond between artists and the masses survived in legends and myths. As the designated custodians of these legends and myths, the "mystic" Symbolists set out to create ritual-based dramas that would resurrect the forgotten heritage. The endeavor became all-important to poets who emerged as a cultural force during a period of political and spiritual crisis in Russia and who sought through their art to bridge the chasm that had opened between the ruling elite and the rural populace, Church and State, adherents of theological doctrine and adherents of bourgeois morality. Although ridiculed by their opponents (one of them being Rimsky-Korsakov), the "mystic" Symbolists clung to the belief that communal art represented a possible solution to the problem of social disintegration. Ivanov, placing his rather dubious hopes for spiritual synthesis on the music drama, embraced the theory of art developed by Nietzsche in The Birth of Tragedy (Die Geburt der Tragödie, 1872), specifically the idea that artistic creation was regulated by "Apollonian" and "Dionysian" principles, the former comprising "dream," the "plastic energies," the "immediate apprehension of form," and "individualism," the latter comprising "drunkenness," "enchantment," "reconciliation" with nature, and "Primordial Unity. "6 Music, as the most "Dionysian" art, generates a multiplicity of meanings, which lead, ultimately, to an all-encompassing meaning. In "The Hellenic Religion of the Suffering God" ("Ellinskaya religiya stradayushchego boga," 1904), Ivanov speculated that "perhaps once again genuine tragedy will arise from the matrix of music; perhaps the resurrected dithyramb will 'prostrate millions in the dust'"7 He implies here that music might one day form the basis of a universal drama. One searches in vain for detailed discussions of music by the Russian Symbolist poets. They regarded composers as wizards, figures like Morgan La Fee, King Arthur's sister, who in order to baffle enemies created castles in the air substantial enough to stimulate desire yet dissolving under close scrutiny. For its sheer absence of technical information, perhaps the most intriguing Symbolist examination of music is Belïy's essay "On Theurgy" ("O teurgii"), published in 1903 in the short-lived religious-philosophical journal New Path (Novïy put'). This essay shows Belïy's fervent belief in the theurgic nature of musical and poetic symbols, their capacity to modify our perception of reality. Theurgy, a term coined by the third-century philosopher Iamblichus, is most often defined as incantation by the gods. In Belïy's usage, however, it refers to the god-like capabilities of the Symbolists, their ability to transform artistic creation into religious creation. The symbol—whether musical or poetic—not only asserts the existence of the objects that it connotes, it actually has the power to summon new objects into being. From a purely literary perspective, Belïy sought the formation of a syntax in which words assume the same ontological status as their referents. His source for this concept was Mallarmé, who in his 1897 essay "The Crisis of Poetry" ("Crise de vers") recalled a mythological time when language could actually produce objects by fusing sound and sensation. From a purely musical perspective, Belïy sought the formation of a syntax in which sounds were divorced from their cultural referents and prevented from assuming a concrete semantic identity. By constantly shifting their expressive value, they would compel the listener to contemplate their various possible implications, their various possible sources in experience. Drawing on Schopenhauer, Belïy hypothesized that, through music, the listener perceives the deepest forces that regulate the cosmos: the concentrated energies that constitute the noumenal Will. Unlike poetry, which concerns the material traces of objects, music concerns their immaterial essences. Thus, whereas the "mystic" Symbolist poets, as theurgists, were forced to confine their activities to this world, Symbolist composers could gain direct access to the other world. Yet the theoretical apparatus that frames Belïy's discussion of specific compositions is much more sophisticated than the discussion itself. In "On Theurgy," he focuses his "analysis" on 8 Stimmungsbilder (opus 1, 1897) by Nikolai Metner (1880-1951), Emiliy's younger brother. Against these slight works, which are evocative of Robert Schumann in their use of programmatic titles and Johannes Brahms in rhythmic inventiveness, Belïy juxtaposes the first stanza of an untitled 1843 lyric by Mikhaíl Lermontov (1814-41), the intention being to demonstrate the expressive superiority of the music over the text. And star speaks with star. There are no programmatic suggestions in the music; the alignment of Metner with Lermontov is purely hypothetical, reflecting what Belïy considers to be the common subjective implications of their works. Belïy implies that translating musical discourse into verbal discourse is a futile exercise, since music evades and eludes rationalization. The result will either be passionate exaggeration or empty contemplation. While modestly trained in music—he had lessons in piano and composition from his mother—the poet avoided discussing compositional syntax and technique, asserting that the analysis of melody and harmony impedes surrender to musical rapture. The "mystic" Symbolists' musical musings only touched ground, paradoxically, when they proposed definite measures for distorting the surface clarity of compositions, for transferring the listening experience from the realm of the intellect to the realm of the senses. In their theoretical writings, they expressed impatience with the longstanding debate concerning the semantic content of music, asserting that music does not express anything beyond itself, that is to say, anything that can be translated into images and words. This does not mean that, to the poets, "music in itself" was meaningless, a dark void; rather, it bore endless meanings, offered thousands of shades of emotions, and provided "release from everyday perception" through the revelation of "countless possibilities of being. "16 The poets conceded, however, that not all compositions were symbolic. The invocation of the ineffable could not be achieved through fixed compositional systems, for such systems assign "grammar" and "syntax" to music, labels and terms that conceal its indefinable content with a definable, "extra-musical" cover. Recognizing that the issue of musical meaning—how sonatas and symphonies had been interpreted in different historical eras, and how such interpretations change as styles and genres undergo transformation and dissolution—had been addressed by numerous historians and theorists, the "mystic" Symbolists contended that attempts to provide scientific descriptions of the experience of music decreased its mystery, hence its value. In a 1907 article for the Symbolist journal The Golden Fleece (Zolotoye runo) entitled "Music, As One of the Highest Mystical Experiences" ("Muzïka, kak odno iz vïsshikh misticheskikh perezhivaniy"), K. Eiges claimed that music was the most "symbolic" of the forms of art. After quoting the usual philosophical suspects, he concluded that "music is super-empirical. It combines within itself both 'subject' and 'object,' 'I' and 'not I,' representation and the will. In ontological terms it is the will to sounds. This point alone is sufficient to indicate that music exists beyond the limits of scientific inquiry. "17 Speaking ex cathedra for his poet colleagues, Eiges suggests that "mystic" Symbolist composition requires the composer to encode his thought processes into the actual structure of the material. The results of this procedure, he implies, are compositions in which harmonic and melodic relationships of cause and effect are supplanted by a free play of sounds in which the borders of musical grammar and syntax are continuously pushed back. Through the fusion of what later aestheticians called "experience" and "practice," the composer creates a link between "secondary truths of life" and "first principles. "18 Finding that traditional forms of composition placed limits on musical discourse, discourse that should be infinite, the Symbolists insisted on loosening formal constraints and embellishing musical syntax. They became the first advocates of "open" compositions, which would allow for what might be called the "flight" or even "escape" of the musical signifier. The composer most enamored with "mystic" Symbolism was of course Scriabin, whose creative path seems to have followed the "dialectical progression" that, according to the poets, separated their activities from those of other artists. In a seminal 1910 essay, "The Behests of Symbolism" ("Zavetï simvolizma"), Ivanov, Scriabin's friend and Symbolist tutor, charted this "dialectical progression" as follows. During the first phase, the "thesis," the artist determines that "the world is not narrow, flat, or poor, it is not desolate or predetermined, for there is much in it that yesterday's wise men [the realists] did not dream of, there are passages and openings into its secret from the labyrinth of man's soul." The artist thereafter seeks to give expression to the fleeting correspondences between this world and the other world using symbols. There ensues the second phase, the "antithesis," in which the artist endures a period of moral and spiritual turmoil, the successful outcome being the commitment of his life and work to "the worldview of mystical realism." At this point, Ivanov claims, the artist has moved from viewing art as an object of worship to viewing himself as an object of worship. Finally, in the third phase, the "synthesis," the artist is brought "face to face with his true and ultimate goals": the enactment, rather than the representation, of transcendence. The creative act now becomes "vital and significant." It allows for a "commemorative secret sight of correlations with higher essences." Moreover, it transforms itself "into a sacred secret action of love" that overcomes "the division of forms" to become a "theurgic, transfiguring Fiat. "19 Surveying Scriabin's career, one can locate the "thesis" phase in the composer's Symphony No. 1 in E major (opus 26, 1900), whose choral finale praises the power of music, the "antithesis" phase in Prometheus: The Poem of Fire (opus 60, 1910), whose "program" refers to the composer as a divine agent, and the "synthesis" phase in the inchoate Mysterium (Misteriya), a vision of cosmic dissolution. In a 1919 speech that introduced a piano recital in Scriabin's memory, Ivanov provided a slightly more refined summary of Scriabin's career, declaring that the composer's aesthetic platform reflected "a threefold idea, a threefold emotion, [and] a threefold vision." He claimed that the "thesis" phase consisted of a "vision of surmounting the boundaries of the personal, the individual." The "antithesis" phase, in turn, consisted of a "vision of the universal . . . , communal mingling of all humanity." The "synthesis" phase, finally, comprised a "vision of a stormy breakthrough into the expanse of a different, free plane of being—universal transformation. "20 Through benefit of hindsight, one realizes that Scriabin's creative activities evolved—more accurately, devolved—from the realizable to the potentially realizable to the unrealizable. Morrison treats these largely unstudied pieces by canonical composers: Tchaikovsky's Queen of Spades, Rimsky-Korsakov's Legend of the Invisible City of Kitezh and the Maiden Fevroniya, Scriabin's unfinished Mysterium, and Prokofiev's Fiery Angel. The chapters, revisionist studies of these composers and scores, address separate aspects of Symbolist poetics, discussing such topics as literary and musical decadence, pagan-Christian syncretism, theurgy, and life creation, or the portrayal of art in life. The appendix offers the first complete English-language translation of Scriabin's libretto for the Preparatory Act. Providing valuable insight into both the Symbolist enterprise and Russian musicology, this book casts new light on opera's evolving, ambiguous place in fin de siècle culture.